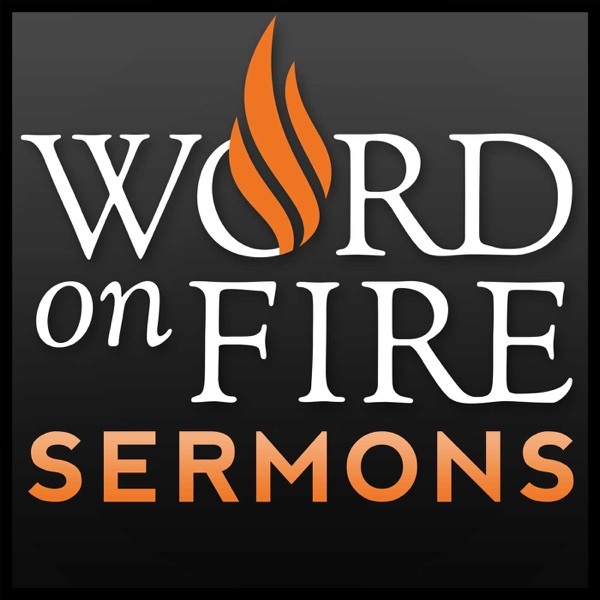 Weekly homilies from Bishop Robert Barron, produced by Word on Fire Catholic Ministries. Today’s second reading from the letter of James discusses the relationship between faith and love. We need a strong faith, but faith without love is lifeless so we must respond to grace and faith with acts of love. In this week’s Gospel, Jesus heals a man who is deaf and dumb. When we read this account at the spiritual level, we see that he cures those who are deaf to the Word of God and hence unable to speak it clearly. How relevant this message is to our own time! All of today’s readings pertain to law. We Americans are a fairly litigious society. Lawyers are thick on the ground and many of our Founding Fathers were students of law. We have a kind of love-hate relationship with the law, like most people in history. Today’s readings offer a key lesson: whenever we reverence something, we surround it with laws. Laws protect the integrity of good things. And for the saints, the law of God is planted within their hearts. In our first reading today, Elijah is dejected and requests that the Lord take his life. But an angel touches him and orders him to get up and eat. Strengthened by food, he journeys to the mountain of God, Horeb. We’re all acquainted with the need for physical food, like Elijah, but we also need spiritual food. If we don’t feed our souls, we will become spiritually lethargic and unhealthy. Where do we find that nourishment? The answer comes in John 6, our Gospel reading for today. In today’s first reading, we see God giving the Israelites mysterious bread on their way to the land of liberation. We need this same food ourselves, to sustain us for freedom, and that’s what the Lord provides in the Eucharist. The sixth chapter of John’s Gospel, from which we will be reading these next several weeks, is a sustained meditation on the meaning of the Mass and the Eucharist. Our passage for today, when read symbolically, illumines the major movements of the Mass. In today’s first reading, God announces that he himself will shepherd his people. Yet a few sentences later, he suggests that he will raise up a righteous human king to reign and govern wisely. So which is it—will God become king or will he establish a human king? The answer, which the Gospel reading unfolds, is both. In the person of Jesus, the divine shepherd, the scattered people of God find their way home. For many people in the West, liberty seems to trump everything. We avatars of the egodrama, we worshippers at the altar of freedom, say that our choice is supreme. We don’t want anyone to constrain our pursuit of money, success, power, influence, safety, or physical health. But what matters in the end is not to place our wills in the position of ultimate concern. Everything in nature, history, science, and our careers is, in the end, summed up in Christ. This week’s Scriptures illuminate the identity and mission of a prophet—a calling that belongs to all the baptized by virtue of our Baptism. God appoints the prophets to a specific mission. This mission is to speak God’s word of truth. God’s word of truth is not a private or personal opinion, but the Word of God communicated through human words. The prophet speaks God’s word of truth to those within and those outside the Church. Prophets do not seek to proclaim a message that is easy to be accepted, but seek to speak God’s word of truth, no matter how hard it might be to hear and accept. Christ is the paradigmatic example of the identity and mission of the prophet. The Book of Wisdom offers us the strange assertion that God did not make death, for he formed humanity to be imperishable. This revelation directs us towards the truth that death is much more than merely the dissolution of the body; it is the full impact of the power of sin over our lives. This power is especially evident in our fear of death. The dormition of the Mother of God offers us a sign that Christ has given to humanity a way that takes us not only beyond our fear of death but beyond death itself. The way of Christ enables us to face the power of death with trust rather than fear. Our Gospel for today features one of Jesus’ most beloved parables: that of the mustard seed. How does God tend to work? What does the building up of the Kingdom typically look like? From the very small to the very great—and usually by a slow, gradual process. God, it seems, tends to operate under the radar, on the edges of things, quietly, clandestinely. In all the literature of the world, I don’t know of a richer account of who we are, what we’re called to be, and what goes wrong with us than the first chapters of Genesis—especially the third chapter, from which our first reading comes. And we see in our Gospel for today that what happens to us in the immediate wake of original sin—alienation, shame, self-centeredness, scapegoating—helps us immensely to understand Jesus and his work. To truly understand what Jesus did at the climax of his life—and what the Catholic Church does at every Mass—we must understand the importance of blood sacrifice to Judaism in Jesus’ time. Everything that Moses did at Mt. Sinai, and all that was done for a thousand years in the temple, was summed up by Christ’s ultimate blood sacrifice on the Cross, offered for the reconciliation of God and humanity. And this ultimate lifeblood of God, sprinkled by Christ the high priest once for all, is what the Mass re-presents and makes sacramentally present to us. It’s often joked that Trinity Sunday is “the preacher’s nightmare.” But while the Trinity can be viewed as the most arcane and inaccessible Christian doctrine, it’s also the most ordinary and obvious. Every Catholic invokes the Trinity whenever he crosses himself in the name of the Father, the Son, and the Holy Spirit. Moreover, every single baptized person has been baptized in the name of the Father, and of the Son, and of the Holy Spirit. Through baptism we’ve been sealed by the Trinity, brought within its dynamic, and sent out on mission. I’m delighted that on this Pentecost Sunday, I can reflect on one of my favorite passages in the New Testament. It is taken from the fifth chapter of Paul’s letter to the Galatians. In this passage, Paul gives those who belong to Christ their marching orders by laying out the works of the flesh—those attitudes and actions that stand against the way of love—and the works of the Spirit. As the Easter season draws to a close, we hear from one of the most magnificent passages in the Gospel of John—namely, the high-priestly prayer of Jesus the night of the Last Supper. It is by far the longest discourse by Jesus anywhere in the New Testament, and it contains the seeds of Christian spirituality in its entirety. Today’s Gospel presents the distinction between a generic spirituality, which emphasizes our decision for God, and authentic Christian faith, which is the recognition that God has chosen us in Christ. It is God’s choice—his election of us in Christ as not only his followers but his friends—that matters most. I would like to focus my attention this week on the magnificent first reading, taken from the pivotal ninth chapter of the Acts of the Apostles. I say pivotal because this is the chapter in which the conversion of Saul is recounted. Hans Urs von Balthasar refers to Paul as one of the great archetypes in the life of the Church, and so we can benefit from a close study of the spiritual lessons from his life and his manner of discipleship. Our first reading for today proposes a very serious challenge to the inclusiveness and non-judgmentalism that is taken for granted in our culture today. The chief of the Apostles says, “He is the stone rejected by you the builders, which has become the cornerstone. There is no salvation through anyone else, nor is there any other name under heaven given to the human race by which we are to be saved.” Stay with how uncomfortable this is—because in a way, that’s the point.